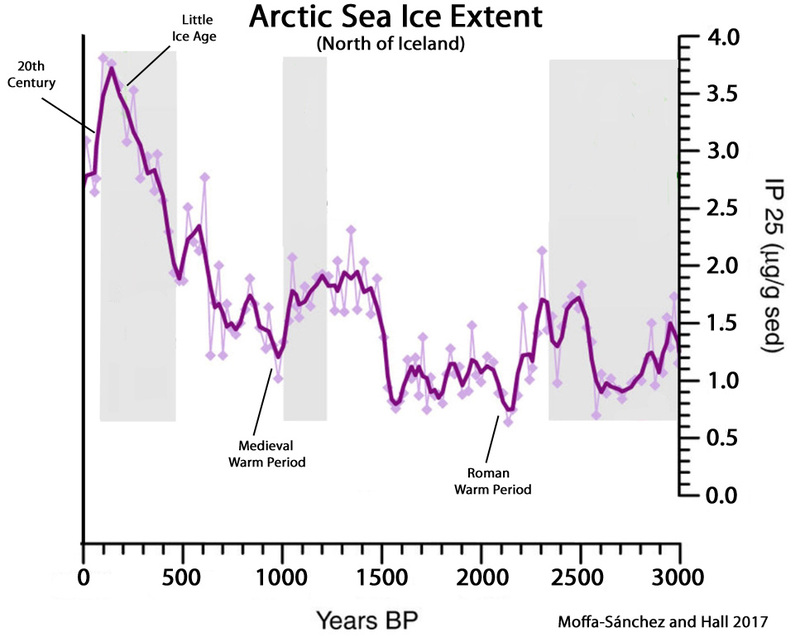 Further to NOAA’s claim that Arctic sea ice extent is at its lowest for at least 1500 years, Kenneth Richard highlighted three studies last year that show the claim to be bunkum. Across large parts of the Arctic, temperatures plummeted during the 1960s and 70s, accompanied by large increases in sea ice extent. It is this extreme cold period that we are now measuring sea ice trends from. 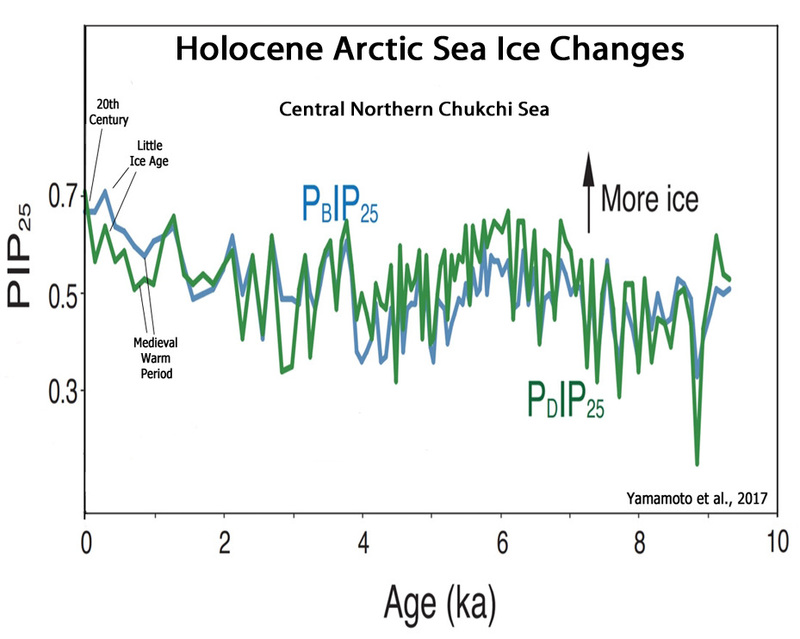 The opening graph comes from a paper, Paleoceanographic Perspectives on Arctic Ocean Change, by Osborne, Cronin and Farmer. Arctic paleo-reconstructions, which extend back millions of years, indicate that the magnitude and pace of the 21st century sea-ice decline and surface ocean warming is unprecedented in at least the last 1,500 years and likely much longer. My letters to the appropriate senate and congressional committees and to the US Attorney General’s office have had no result. Most people don’t know what NOAA and GISS are doing is criminal. That in itself is like a crime. It would help if this were publicized for what it is, and the perpetrators prosecuted, where cause exists ! Interesting observation, Tom. The only term however that would apply is “falsifies.” If that is the case, then you are going to get into a battle of the experts on which expert has correctly adjusted the temperatures. And few judges, I expect, are going to apply criminal penalties to scientific judgment. In fact, it seems quite over the top. That said, I agree that the temperature record has been abused. Those records need to be audited and some guidelines on adjustments to past and present temperatures need to be enforced. Btw, the Supreme Court interpreted this statute a few years ago in a case involving a commercial fisherman who allegedly caught too many fish below weight. Where perhaps the Alarmists have a weakness is that they ignore the non-climate science evidence. As Lamb discusses,there are clear and unambiguous records of grain growing, and the LIA has clear evidence in farming records, history, literature and art. Little Ice Age? 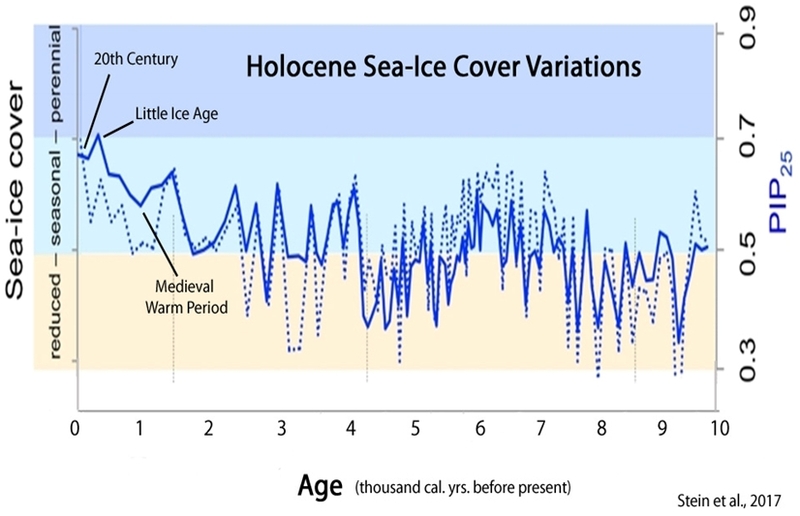 What Little Ice Age? Did not Michael Mann remove it from the historical and scientific record? And should you disagree with him, why he will sue you.